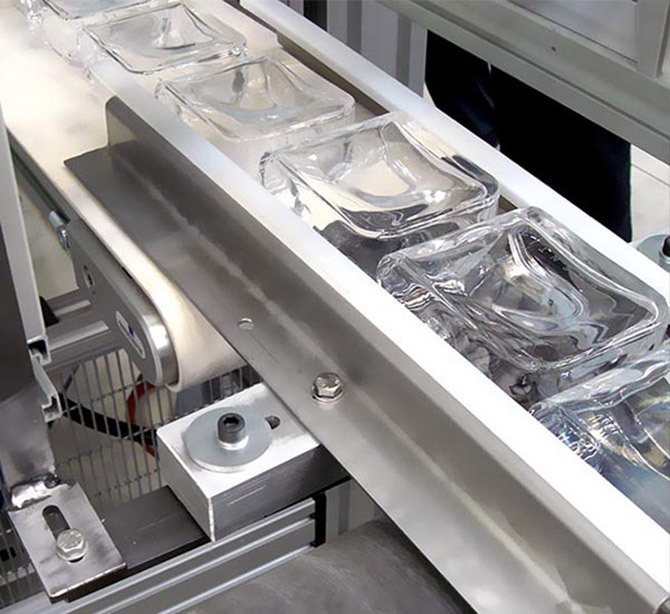 Automated handling of bottles and glass bottles. The PAT-GLASS-FINDER series is designed to depalletize, automatically by robot, various types of bottles and flacons from plastic or carton trays, position and orient them on an output belt by feeding the production line with the Decorators or fillers. The format change settings are intuitive and achievable in a matter of minutes. Optionally, you can choose different output belts on the various sides that are most suited to putting in-line. Our vision system is suitable for a particular product such as glass. 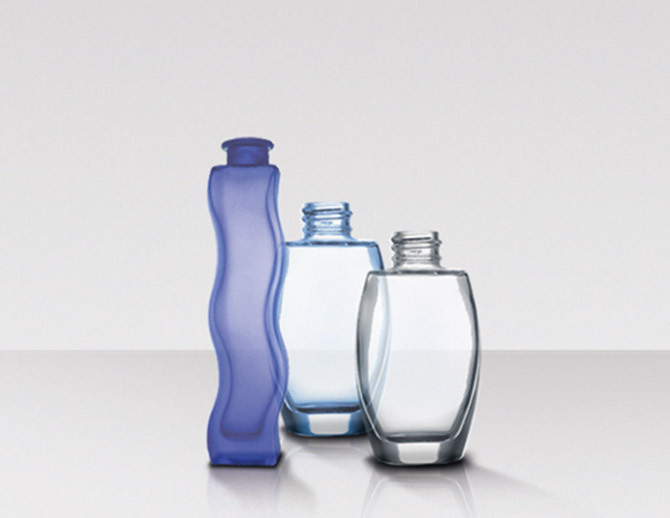 We can handle various bottle sizes automatically. 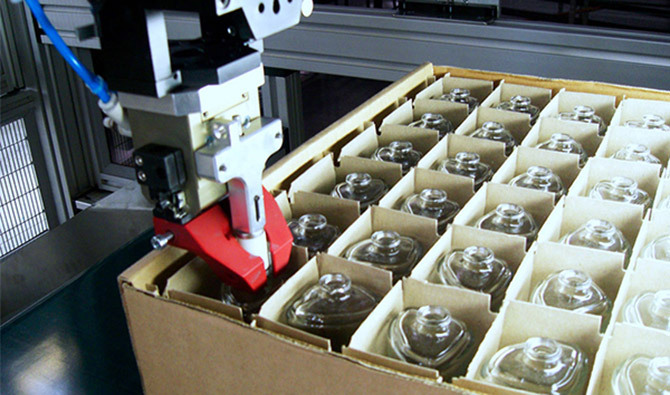 The gripper mounted on the robot allows the picking of vials from cartons or thermoformed trays. The vision system adapts to vials with different heights with no problem. The format change is simple and fast. 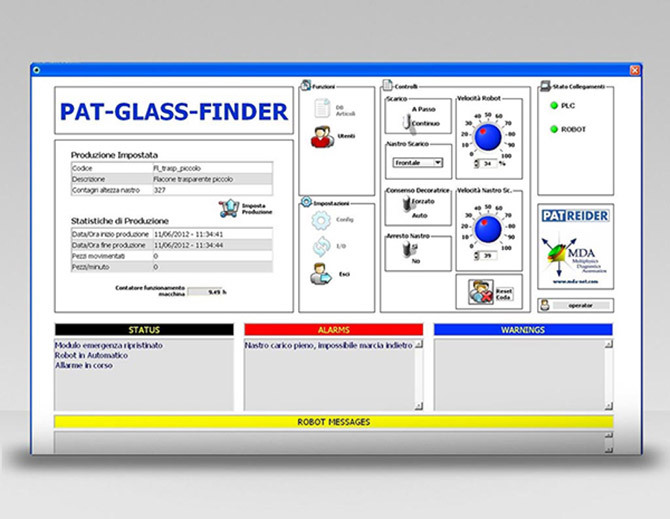 In addition to setting up multiple output sides, PAT-FINDER meets the increasingly demanding requirements of the market: in fact, a wheel system enables agile transport within the production plant between the various production lines. The machine management software is designed to facilitate the operator during production phases thanks to its intuitive interface and customizable settings. 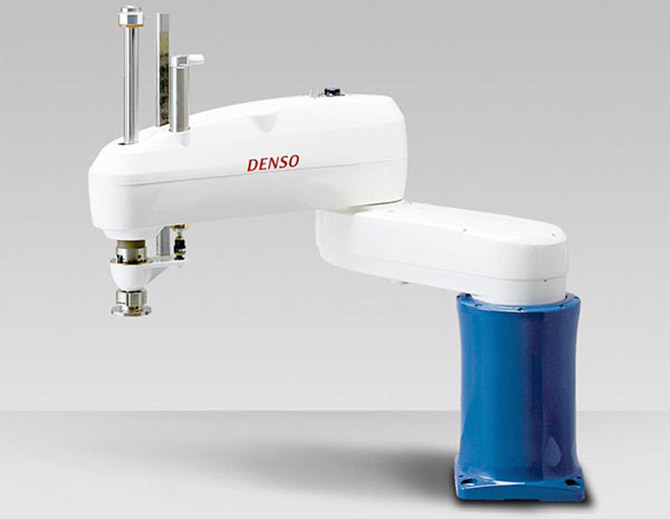 The DENSO Robot SCARA series provides precision and reliability for the positioning of a delicate product. 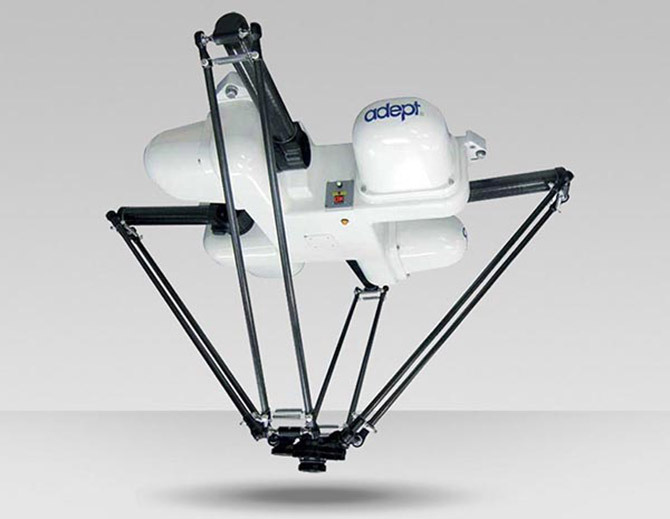 Adept Quattro ™ is the robot that offers the best performance while guaranteeing a gentle handling of the product.